﻿ Muskegon Actors' Colony - Bluffton by Matt Phelan. A rolicking tribute to vaudeville, Buster Keaton, and Muskegon, Michigan. A rolicking tribute to vaudeville, Buster Keaton, and Muskegon, Michigan. The Storm in the Barn and Around the World. Step back into local history and the heyday of vaudeville and Buster Keaton with an exhibition of original illustrations from the new, acclaimed graphic novel* Bluffton, My Summers with Buster Keaton by Pennsylvania-based artist and Newbery Medal winner Matt Phelan. 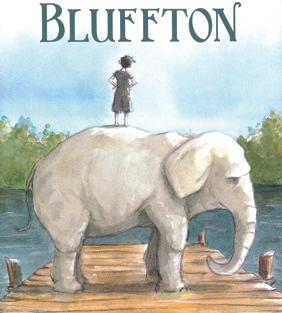 Bluffton tells the story of Henry, a young boy who befriends the most famous resident of Muskegon’s Bluffton neighborhood Actors' Colony. Tucked into the Bluffton neighborhood, the Colony was a remarkable place in the first decades of the 20th century. The nation’s vaudevillians made their summer residence here, working up fresh material for upcoming seasons and, more importantly, unwinding and enjoying Muskegon’s still-incredible lakeshore. Matt Phelan’s work has quickly garnered critical acclaim. 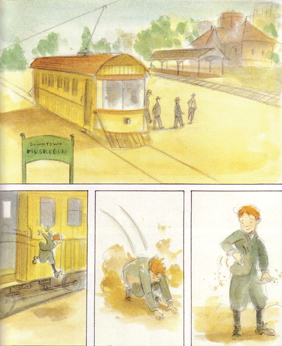 The School Library Journal writes, “Phelan’s watercolors are expertly rendered and soft in focus, but pop at just the right moments, simultaneously showing the sleepiness of the town, the glamour of show business, and the energy of summer.” Kirkus Reviews states Phelan’s Bluffton is “thrilling—a spirited, poignant coming-of-age vignette and an intriguing window into a little-known chapter in vaudeville history.” Have fun and enrich your view of the era and local lore with a special family day, Buster Keaton film screenings, and an historical Bluffton walking tour. This exhibition is underwritten by Harbor Steel & Supply Corporation. Additional support is provided by the Michigan Council for Arts and Cultural Affairs with the National Endowment for the Arts. Stomp into the MMA for an enormous day of fun and activities. Free admission and activities are underwritten by MMA Education Partner Alcoa Foundation/Howmet. Old-timey laughs for all ages! Explore Buster Keaton’s Bluffton: A Graphic Novel by Matt Phelan with a museum docent. Create elephant sized art with a twist. (45 mins.) Buster Keaton is considered one of the greatest comic actors of all time. This film tells the story of Keaton’s career and eclectic life, which included many childhood summers spent in the Bluffton neighborhood of Muskegon. 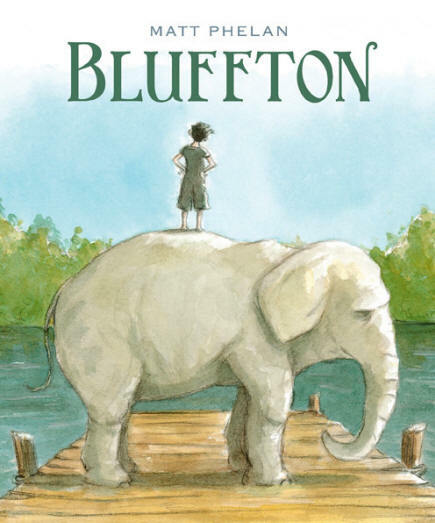 Illustrator and author Matt Phelan highlights those summers in his fictional graphic novel Bluffton, original illustrations of which are on display in the Cooper Gallery. Brown Bag Film admission is free. Join local historian, Ron Pesch as he guides a walking tour highlighting the homes and hangouts of the lively group of over 200 vaudevillian actors that took up summer residence in Bluffton’s bygone artist colony. You will walk away with a new appreciation for Buster Keaton and the showbiz clan that loved Bluffton, which they considered their true home when not on the road. The tour begins at the old Bluffton Elementary School parking lot. Reservations are not required. In case of rain the walking tours will take place Sunday, April 27 at 2:00 pm. Questions: Call 231.720.2587. The MMA will showcase three classic Buster Keaton short films from early 1920s: Cops, One Week and The Boat in conjunction with the Museum’s Buster Keaton’s Bluffton exhibition. All three of the famous silent films are restored 16mm prints; One Week is a restoration by David Shepard, the world’s foremost silent film preservationist. These are the actual film prints—not DVDs. Era-specific music will accompany the films. Local historian Ron Pesch will be on hand to talk about the films, their connections to Muskegon, and answer questions. (1922) Buster accidentally gets on the wrong side of the law, and his attempts to correct his situation only get him in deeper trouble. This movie is packed with clever physical gags and surreal cinematography. The Library of Congress added Cops to the National Film Registry in 1997. (1920) Two newlyweds start a new life with a do-it-yourself house in a kit. Things don’t go quite as well as the instructions directed. Many of the classic films stunts Keaton became famous for were first seen in One Week. (1921) Buster attempts to build a boat (The Damfino) and launch his family on the high seas. This 1921 film was directly inspired by Keaton’s summers on Muskegon Lake. Each teacher that visits the exhibition with their students will receive a copy of Bluffton for their classroom, while supplies last.